There may be a huge number of gods and goddesses according to the mythology. 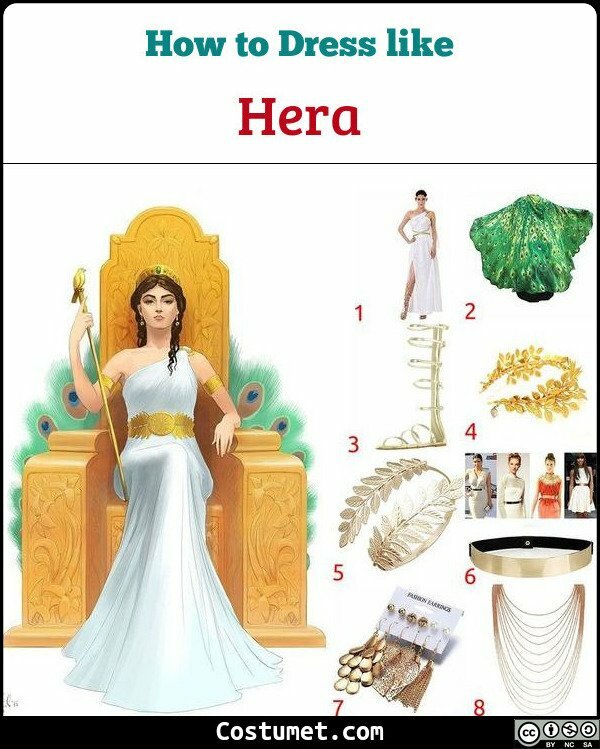 This article, however, will present to you the two major names, who are married and often called as king and queen; Zeus, god of thunder, and Hera, goddess of marriage. Both wears a white Toga, a golden crown, golden gauntlets, a golden belt, and golden sandals. However, each will be decorated with specialized accessory and props. 2 Peacock Feather Cape Put on a cape with peacock feather prints or made of one because Hera's symbolic animal is a peacock. 3 Gold Sandals Wear a pair golden sandals. 4 Golden Olive Branch Crown Wear a golden olive branch crown. 5 Golden Armbands Equipped in both upper arms with golden armbands. 7 Long Golden Earrings Look for long golden earrings to wear. 8 Multi-Strand Statement Necklace Wear a multi-necklace in gold color. 9 Golden Staff Wield a golden staff prop as your weapon.